Historical Leader and founder of Buffaloism in the Far East. He founded the Sir James Oxberry Lodge in 1921 and the King Edward VII Lodge. He was also a Freemason and a member of Zetland Lodge in Hong Kong. An obituary in the Hong Kong Telegraph, dated Monday, 21 February 1925, describes him as the Proprietor of the Palace Hotel, Kowloon. It goes on to relate that Mr. Oxberry was a native of Yorkshire and, as a young man, had been a member of the services. He later joined the staff of the Hong Kong Hotel and had been proprietor of the Palace Hotel for the past eight years. He was a very keen “Buffalo” – he had attained the highest rank – and also a Freemason. He was also an active supporter of many sporting organisations on the island. The funeral at the Jewish Cemetery was conducted by R. I. ELIAS, assisted by Mr. D. S. GUBBAY, and, among the chief mourners were Messrs I. L. and H. GOLDENBURG, E. ABRAHAMS and N. MOSES. 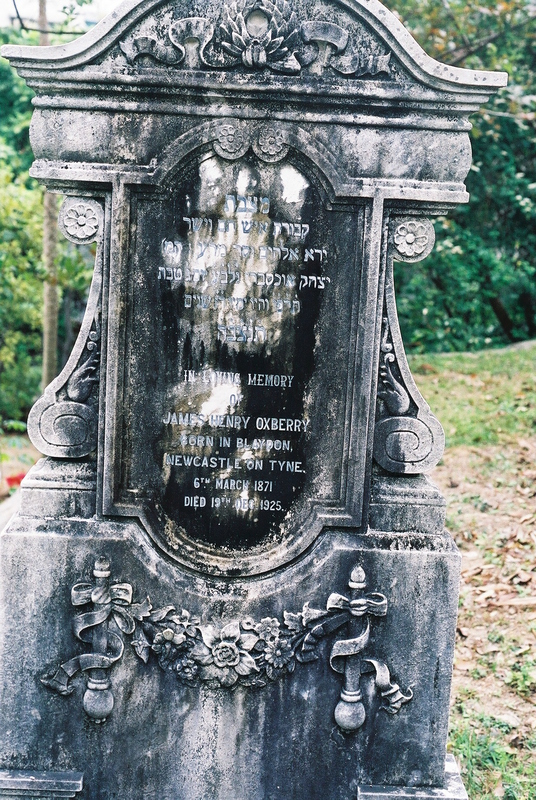 After the Jewish burial, a Mr. G. SHERRIF conducted a Royal Antediluvian Order of Buffaloes service, with the members lined up round the grave. According to a 1898 jurors’ list, he was the under-manager at the Stag Hotel on Queen’s Road Central. A 1902 jurors’ list has him as a runner at Hongkong Hotel. A 1917 jurors’ list has him as an assistant at Gande, Price & Co., with offices at 6 Queen’s Road Central. According to an 1891 census, he was living at 50A Cambridge Street, Castleford, York West Riding, England. He was 19 at the time, single and was working as a glass bottle maker. He has a nephew living in Perth.